Vermont's largest utility, Green Mountain Power, has crews on standby if expected snow brings service outages. 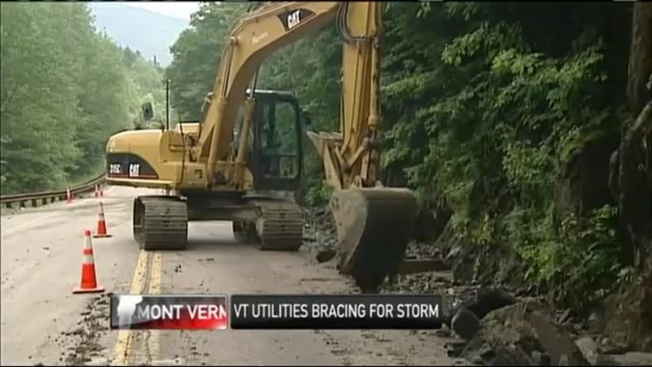 Vermont's largest utility, Green Mountain Power, is readying for the possibility of outages if the predicted storm Wednesday and into Thursday dumps heavy snow on parts of Vermont. Forecasters have said to expect 6-12 inches of snow across a swath of the northeast, which includes Vermont's southern counties. "What we're focused on is, 'Is it going to be that wet, heavy snow?'" said Kristin Carlson of Green Mountain Power. "All the crews are on standby; all the crews know this could be coming." Vermont has had some bad luck on holidays lately. Powerful winds and rain impacted Fourth of July celebrations for many this year. Last Christmas week, a bad ice storm made power restoration really difficult. And Independence Day 2013 brought destructive floods to parts of the Green Mountains. GMP is now hoping this Thanksgiving doesn't serve up a mess for the region. "Even if it's a holiday, we're ready to go," Carlson said. Mary Sullivan at the Burlington Electric Department said she thinks the city will dodge the worst of the storm, being so far north. If need be, though, she said BED will offer to help other utilities with repairs. "There's really good coordination between the utilities throughout a pretty large region," Sullivan told New England Cable News. While any potential winter storm brings headaches for drivers, utilities, and others, a silver lining to the expected snowfall may be that Vermont's largest ski resorts are already open. Others are coming online in the next few weeks.